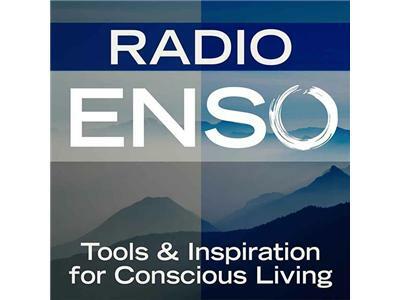 Join me Monday, August 26th at 6 p.m. Pacific/9 Eastern on Radio Enso. My guest is nomad, coach, and book editor Amy Scott, the founder of Nomadtopia and Nomad Editorial. Amy joins us to talk about creating a life of freedom and travel from anywhere in world. About Nomadtopia: In 2004, I quit my job as an editor at a travel publishing company in the San Francisco Bay Area to embark on a trip around the world. As my trip came to an end nearly nine months later, I spent a week on the beach in Thailand, trying to make sense of it all, and one thing was clear: This was not the end, but only the beginning, the first of many steps I would take toward creating my ideal life—my Nomadtopia. I started my first online business, Nomad Editorial, to enable me to continue the adventure. Nomadtopia was founded in 2011 to share my experience and resources in order to empower and inspire others who’d like to be location independent and/or have a more nomadic lifestyle. I’ve continued to work for myself while road-tripping across the States, and exploring South America, especially Buenos Aires, Argentina, my home base since 2007. The funny thing is, despite my nomadic nature, I usually find it pretty easy to get comfortable and start doing homey things like cooking, gardening, and knitting. But the pull of the road started to distract me again. And then I met a super-hot Argentine named Roberto. Lucky for me it turned out that he, too, had long been dreaming of a life of travel and adventure. To learn more, visit http://www.nomadtopia.com.